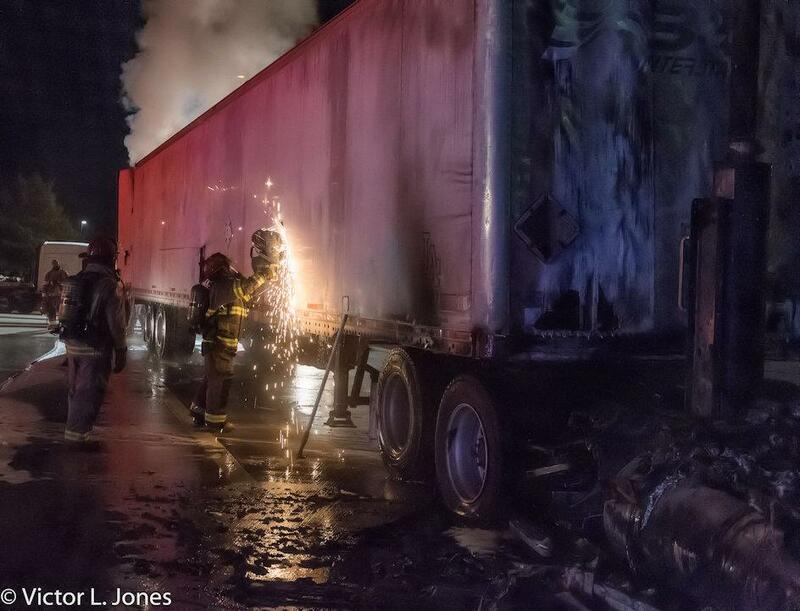 Truck Fire in the Middle of the Night, SEVEN OAKS, May 12, 2017 - At approximately 3 am on May 12, 2017, the driver of an 18 wheeler was resting at the rest area in Seven Oaks. 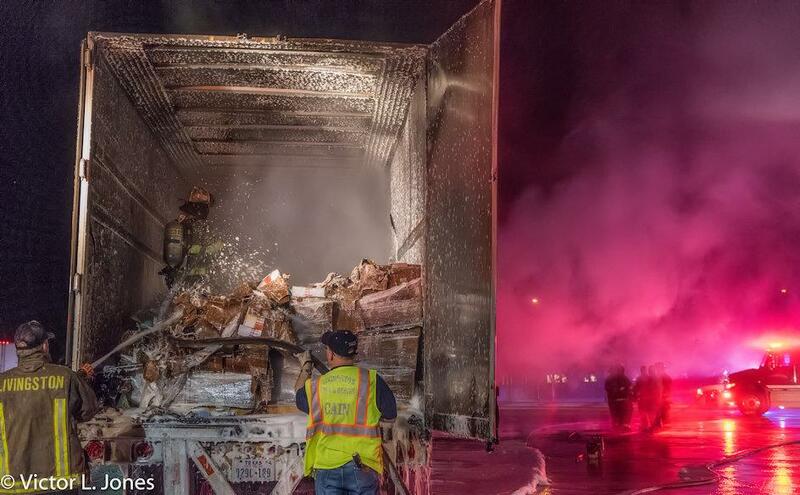 According to the driver, while he was resting, he began to smell smoke. He got up to check it out, and stated that he could hear electrical arcs (popping noises). The smoke increased and a full fire ignited in the rig. 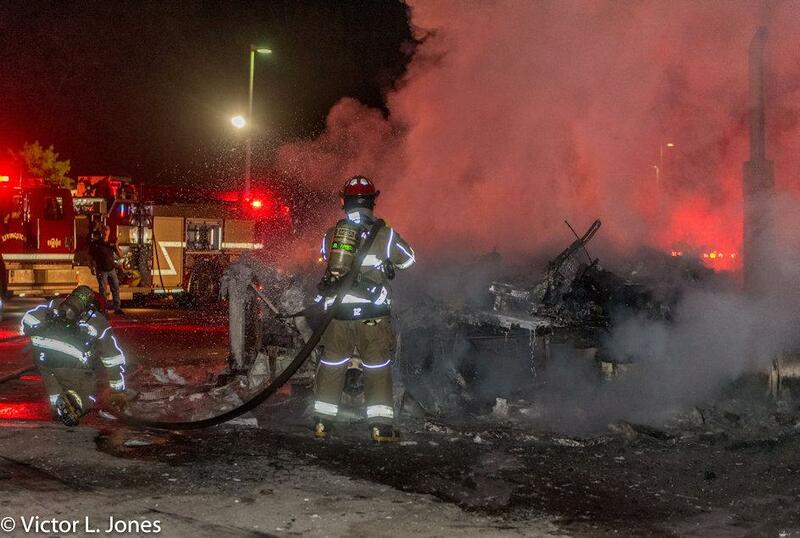 Livingston Volunteer Fire Department was dispatched to the scene and arrived to find the cab of the rig fully involved. 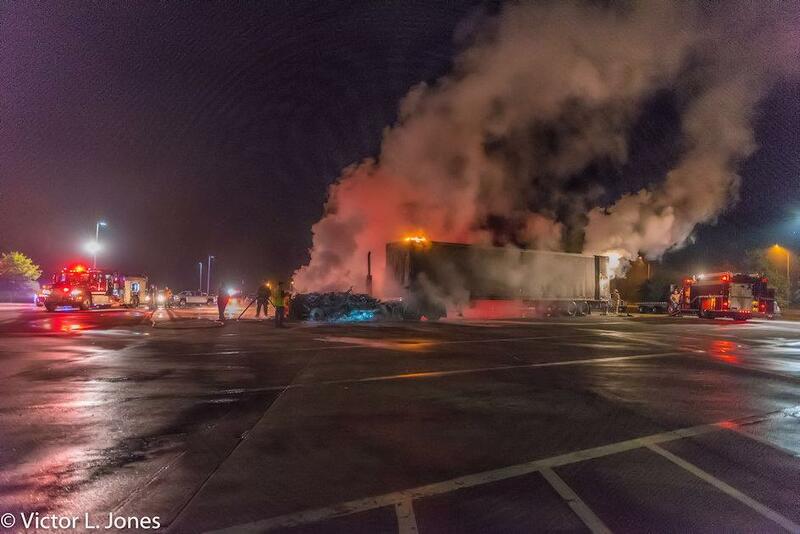 The fire did spread to the trailer / cargo portion of the rig. 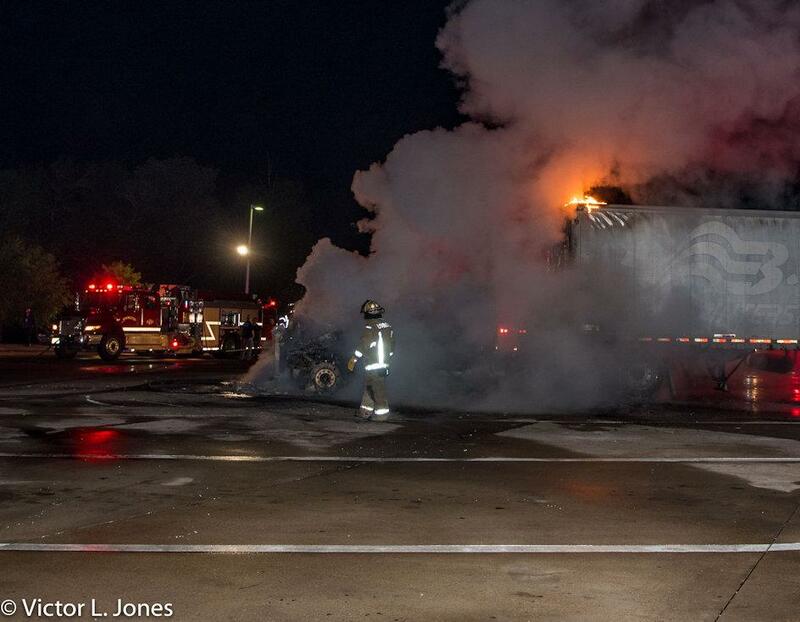 Firemen were able to extinguish the fire but the cab completely burned. The trailer (and its cargo) sustained heavy damage. Fortunately, nobody was injured during this incident. Special thank you: Victor Lee Jones with the Livingston Volunteer Fire Department. All photos by Victor Lee Jones. The cargo of the truck was body moisturizer lotion.